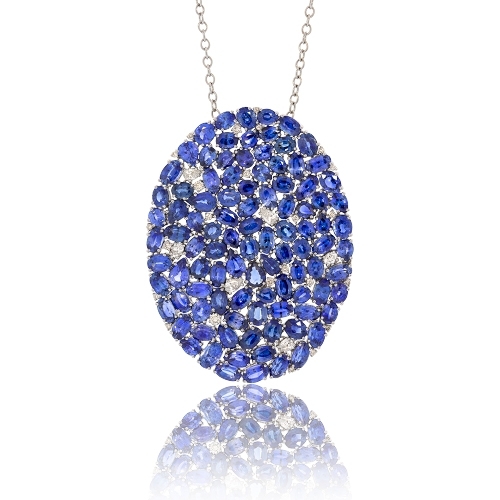 Sutra designed 18k white gold pendant with blue sapphires and diamonds. Diamonds approx. .73ct. Sapphires 28.19ct. Pendant 2"